COLOR(S): Black, tan, or white. Or any combination of these colors. Many people are interested in the dog cloning topic because it is one way to immortalize your beloved pet. Cloning is also an interesting topic because not many people know that it can be done using DNA. A lot more people are considering the process of cloning their pets so they can keep them in the family for longer instead of having to go through the process of purchasing a new pet. They can continue to have their old pet in every way when it is cloned. However, it is an expensive way to go if you want your pet cloned and there may be risks involved. There are many reasons why one might choose to clone their dog. Perhaps that dog was a great dog, and they do not want to miss them once they pass away, or they do not want a replacement dog. This is something that a lot of people think about when the time comes. Do you want to have another friend that you are going to get close too, and then have them pass away? Do you want to keep your old friend that is the same in every way because you have used their exact DNA to make them? The cost to clone your dog is one hefty price to pay. The cloning itself is usually around $100,000 to $150,000, not counting the $1,500 for the DNA kit that you are going to need. This is to collect your pet’s DNA before or 5 days after they pass. There have been recent suggestions that the cloning process is going to go down to $50,000. There is still news to be heard on this. The process of cloning is a lengthy and strenuous one since the scientists are dealing with strands of DNA that they have to match identically. Eggs are first harvested from a healthy dog, and during this period there is only 1 hour where the eggs can be captured at the right time from the fallopian tubes. The eggs nuclei is changed, and replaced with the DNA from the dog that is going to be cloned. 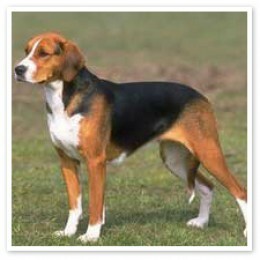 The DNA from the donor dog can be taken using a swab in the mouth or stomach. The DNA is then inserted into the harvested eggs. A surrogate female dog will then carry the eggs to full term and birth. There is a 25% chance of success when cloning a dog. This is because it is a delicate procedure, and a lot has to be done in order to ensure that the DNA was properly transferred. The fetus will go through some hardships if they do not make it through the cloning process. This can be a devastating effect since there are a lot of miscarriages and defects when the puppies are born. This is why a lot of people do their research on dog cloning prior to purchasing a cloned dog. 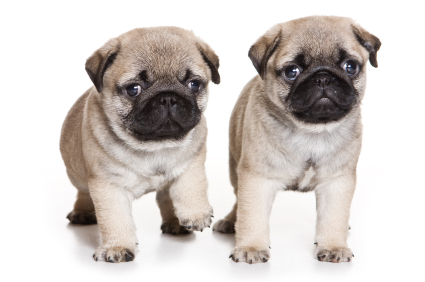 There are many risks to cloning a dog because the procedure is stringent and detailed. If something is not done right then this could mean serious harm to the cloned puppies in the uterus of the surrogate. The risks could mean potentially dangerous things to the surrogate carrying the puppies. It could also mean more puppies born with defects and anomalies, and then eventually having to be put to sleep. It could mean mutations, and many other things that you might not want to put puppies through in the end. Can Pet Cloning be Ethically Justified? There are a number of companies and organizations out there that can help with every aspect of cloning. This is something that you have to think about before your beloved dog passes away. You need to store their DNA in order for the cloning process to be successful. Having a clone made is a very extensive procedure, costs a lot of money, and can be risky in the end because of the mutations and extras that might come about because of the detailed work that needs to be done in order to clone the animal. dogs and puppies for saleSearch Dogs and Puppies for sale by Dog breed, Size and purpose with information on 300+ Dog Breeds at PuppiesNDogs.com. Buy AKC registered Dogs & Puppies now!